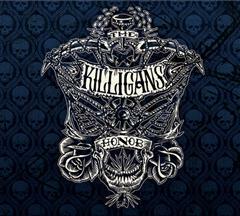 The Killigans are fixtures on the local scene and are known for delivering propulsive, passionate shows. With “Honor,” the six-piece band has made a record that lives up to what they do live. I’ve listened to “Honor” a handful of times in the past week and am more impressed each time I hear it. It’s always great to read a positive review of an album (which we have been lucky to have a few) but it’s even more validating to us that Wolgamott mentioned that the album is indicative of our live shows. We’ve always felt like we are a live band, and have had some difficulty in recreating that energy and power in the studio. We feel that Honor is our best album to date. We hope you like it too!